The Rigel VenTest 800 gas flow analyzer is ideal for both bench top and field service testing of all commonly available ventilators to verify that the ongoing accuracy and reliability of the equipment remains within the required performance standards. The three model range includes a standard VenTest 800 analyzer for use with all standard ventilators, including adult, neonatal, pediatric and high frequency equipment, as well as anesthesia machines and spirometers. In addition, specially adapted models for the testing of vacuum measurements (VenTest 810) and low flow pressures (VenTest 820) are also available. 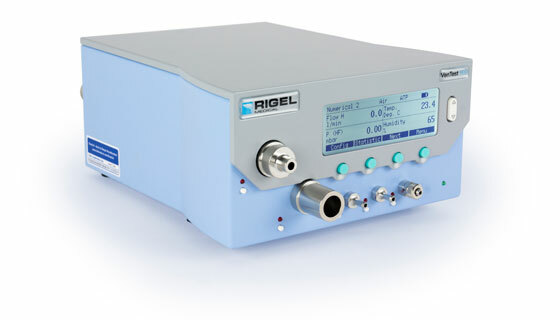 The Rigel VenTest 800 is the latest addition to the company’s comprehensive range of dedicated biomedical test equipment that also includes electrical safety analyzers, vital signs simulators and performance analyzers.